The most important thing to remember when it comes to conference event management is that you cannot do it alone. Planning a conference takes an army, so ensuring you have your team assembled and organised before you start any planning is essential. The size of your conference will determine the size of your team. Big or small, it’s important to have people surrounding you that you can trust to deliver. Divide up responsibility so everyone has a small aspect of the event to manage. Be it the food or the keynote speakers, play to your team’s strengths and you’ll be onto a winner. Once you have your A-team, the next thing you must establish is budget. This is key as it will ultimately affect every decision you go on to make. There are lots of factors that will influence your budget. Location, size, speakers, entertainment and venue catering are just a few. With this in mind, having a stringent budget plan is paramount to ensuring you nail conference event management. Securing the date is the next step, your company might already have a date in mind. If not, you will want to pick a date that will ensure maximum attendance. For this you need to select a date that works with your company’s annual event calendar, the goals of the event and key messages. If it’s an kick off conference for example, January is obviously preferable. Alternatively, if you’re doing a yearly roundup, November or December would be ideal, whilst remembering to avoid the Christmas party season. Once you know the date, you can start thinking about the conference venue. Knowing your audience is integral to finding the right venue. If your audience or company are very corporate and more traditional, you want to stick to the classic venues like hotels or auditoriums. However, if you're a cool and quirky company, or just looking to push boundaries, why not go for a more unusual conference venue? If you’re holding a conference in London, there’s plenty of unusual venues to choose from. Think museum receptions, art galleries and old warehouses. Your guests will be impressed if you offer them something different. Hosting a conference in an inspiring setting is also likely to improve delegate engagement and conference outcomes. Sponsors can step your conference up a notch, but finding the right one’s is a tricky process to manage. Your sponsors should be the right match for your conference and your company. You should approach sponsorship deals as a relationship building activity, not a one off transaction. Think about the types of sponsors that would work for your company. Perhaps create the ultimate wish list for event sponsors, then do some research into what they have done before to see if they would sponsor your conference. Long-term deals should always be the preferred goal. Consider a combination of what they can offer you and what return on investment you can promise. At the end of the day, sponsors will spend money on anything that improves their business. If you can clearly lay out the benefits they will reap from sponsoring your event, it’s a no-brainer for both parties! Catering is also another big part of organising a conference. The way to your delegates’ hearts is through their stomachs, so deciding on a catering package is crucial. Some venues will have onsite catering. Then it’s just a matter of deciding how many breaks you want and when. You should definitely leave up to an hour for lunch and give two or three short breaks for coffee and snacks. If your budget allows it, always go for hot food as opposed to a sandwich style buffet. Your delegates will appreciate the extra effort. Do you have a breakout space at your conference venue? Or maybe you’re holding your conference in an old industrial warehouse? Street food could be your answer. Giving your Guests the choice of several different cuisines is a truly unique and exciting experience. There’s a number of things to consider before you book a keynote speaker. As the main feature of your event, picking the right one is important. Make sure you think about what you want in a keynote speaker and how your event is going to benefit from their expertise. These basic yet important questions will help you decide what keynote speakers you should be searching for. Make sure their content aligns with your company or event messaging, conference event management is all about ensuring all aspects come together, resulting in a seamless and informative experience. 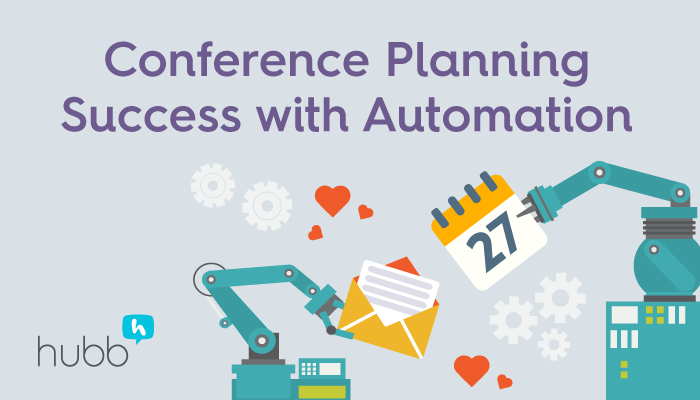 These are the absolute basics of a conference agenda, but thanks to a rise in event apps, there’s a plethora of technology out there to make your agenda and event organisation really stand out from the crowd. For event management apps, Bizzabo is a great option. It allows you to create a unified brand experience for your conference, from powerful networking features to interactive agendas. 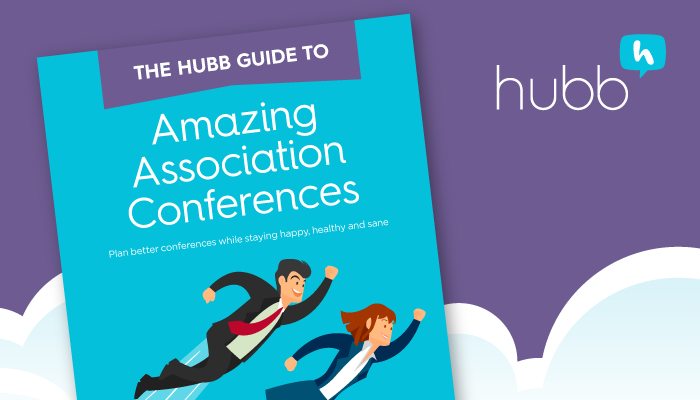 Another tool worth checking out is hubb, which allows you to communicate with all attendees instantly, allowing real time feedback which will help you take your event to the next level. If your conference is a ticketed or optional event, a strong marketing plan will help to ensure maximum attendance. If your conference isn’t free, you first need to ensure your pricing structure is in line with the industry standard. Meaning, it’s enough to cover your costs, but it doesn’t become unaffordable for guests. Next you can focus on ensuring that your conference is an attractive prospect to your target audience. What will they get from attending? How will it help them to achieve their goals? The digital industry is very saturated and people already absorb an incredibly large amount of content. So make sure your event marketing is concise, clear and well targeted. Social media is a free and relatively easy way to promote your event, especially if your marketing budget is a bit tight. The big four for event marketing are Facebook, Twitter, LinkedIn and Instagram, but you could also use YouTube or Snapchat depending on your event and your industry. If you have a bit of extra advertising budget, you could use Facebook or LinkedIn advertising which lets reach a wider group of people based on their interests and demographics. Social media doesn’t stop when the event starts. Come up with a memorable event hashtag that your attendees can use to engage in the conversation surrounding the event. This will encourage audience participation, and will promote your event to audiences not in attendance, building a group of interested parties who might attend next year. One of the best top tips for conference event management? Saying thank you. A small thank you can really go a long way, whether it’s to the keynote speaker, the sponsors or the attendees. Touching base post-conference shows them you really care and that they aren’t just another attendee. Collecting feedback is also key, the only way you are going to improve as a conference event manager is by gaining feedback. Good or bad, feedback helps you understand what really works and what you can improve next time. Online surveys that ask your attendees a few simple questions are usually your best bet. It’s important not to burden your audience with extra work, but to ask them for just a few short answers. For detailed info on collecting event and speaker evals and how to use them check out this guide. 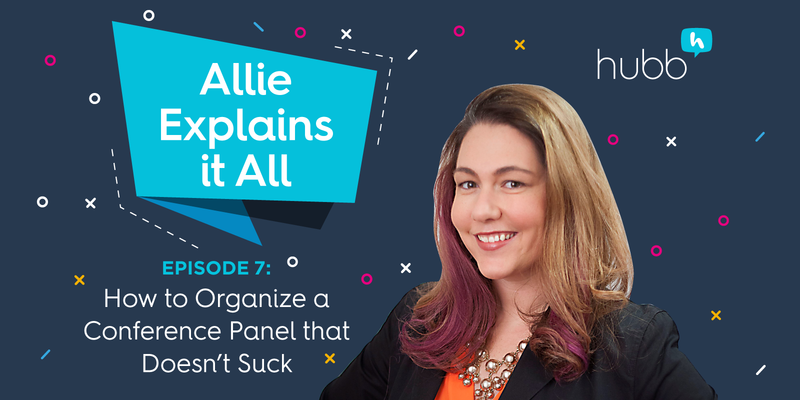 You now have some handy tips and tricks for conference event management. 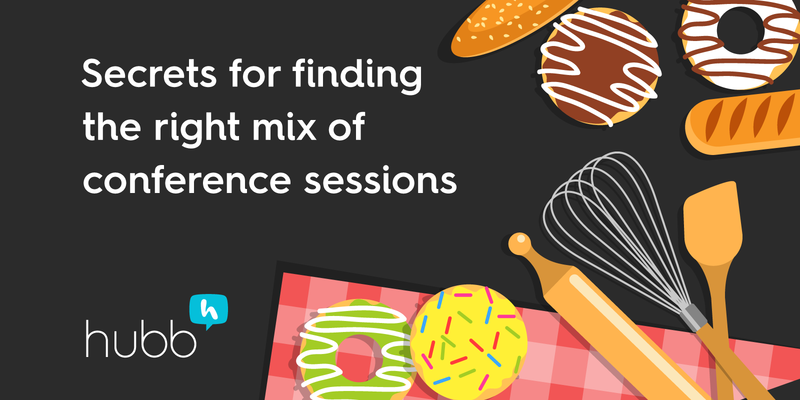 Whether you’re just starting out, are a seasoned conference producer, or just needed a refresher, there’s something for everyone.